Nurses Licensed by Endorsement – Working in Oregon or Not? Oregon’s registered nurses (RNs) obtain their licenses by one of two methods, exam or endorsement. Nurses licensed by endorsement are nurses who have been issued a license in another state before requesting an Oregon license. Since 2012, the number of RNs licensed in Oregon by endorsement has been greater than the number licensed by exam. A wide held belief is that nurses licensing by endorsement are doing so to be able to provide care in Oregon. A recent study by the Oregon Center for Nursing (OCN) demonstrates this is not the case. Licensing data provided by the Board of Nursing showed that 62 percent of nurses licensing by endorsement neither live nor work in Oregon. To investigate the issue further, OCN conducted a sample survey to learn more about the practice plans of these nurses. Survey results showed that 40 percent of respondents had no plans to work in Oregon. There were also signs that globalization of the health care industry (telehealth, case management, triage, etc.) may be, in part, responsible for the growth in nurses licensed by endorsement. Fourty-four percent obtained their Oregon license because it was an employer requirement and 28 percent of respondents did not work in the state but did serve Oregon residents. OCN intends to pay close attention to this trend as it continues to learn more about nurses who are licensed but not living in Oregon. OCN is a nonprofit organization created by nursing leaders in 2002.  OCN facilitates research and collaboration for Oregon’s nursing workforce to support informed, well-prepared, diverse and exceptional nursing professionals. Recognized by the Oregon state legislature as a state advisory for nursing workforce issues, OCN fulfills its mission through nurse workforce research, building partnerships, and promoting nursing and healthcare. For more information about OCN, please visit www.oregoncenterfornursing.org.